Compare prices on car hire in Rijeka from all the major brands and find the best deals. When you book through us, unlimited mileage and insurance are always included in the price given. Rijeka, the Adriatic Sea to the east of Istria. Rijeka is Croatia’s third largest city with approx. 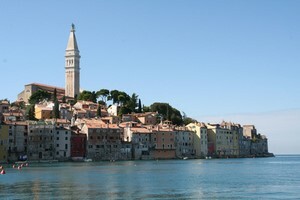 170,000 inhabitants.The city is Croatia’s main port city. Here is the oil pipeline to Hungary .Several car ferries go to Zadar , Split , Dubrovnik , Bari Italy, to Greece and Albania .Rijeka has belonged to Austria , Hungary , France , Italy and Croatia , and went back to Croatia in 1992. Rijeka is a good starting point to explore other parts of Croatia, and Ljubljana , and the Istrian peninsula.The city that boasts of being the hometown of submarine torpedoes father, Giovanni Luppis, but do not have many tourist attractions. Among the attractions is a gateway with clock tower, which was the original entrance, in the main street Korzo. Rijeka has a marine and a historical museum. At a height of Susak is a Franciscan monastery and fortress Trsat from the 1200s. The airport of Rijeka, Zra?na hatch on the island of Krk about 17 kilometers from Rijeka center.